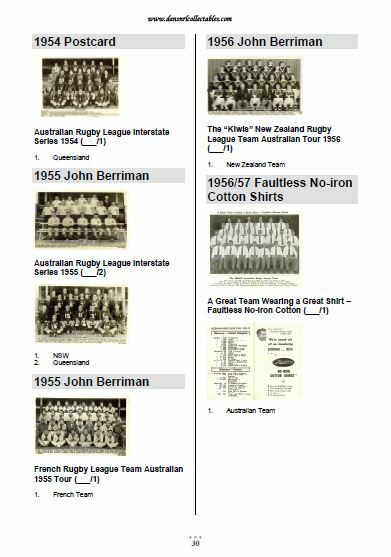 Please view the sample pages. 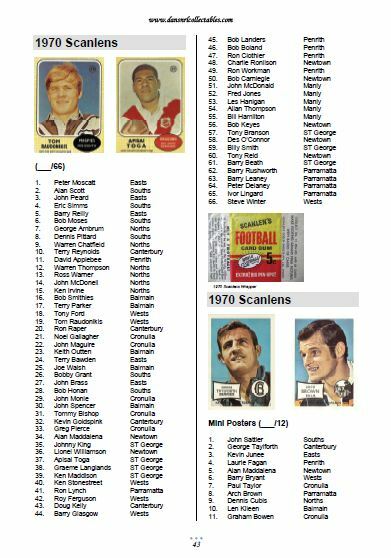 I have been collecting Rugby League Cards for as long as I can remember. 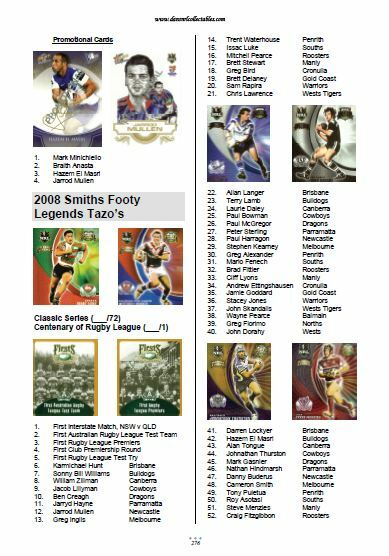 During my School years I would spend my lunch money on cards and by the time I returned home in the afternoon I would be famished. 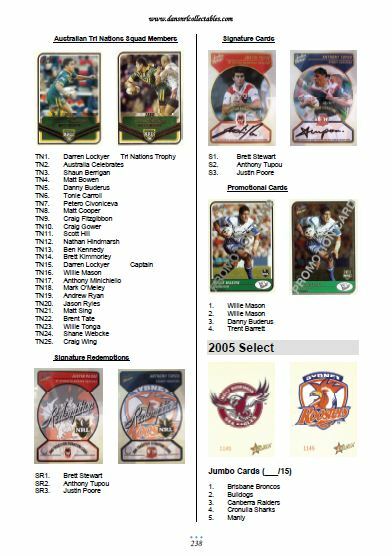 When I was in high school a fellow student would bring in a handful of his father’s collection and I would pay him $2 a day for those. 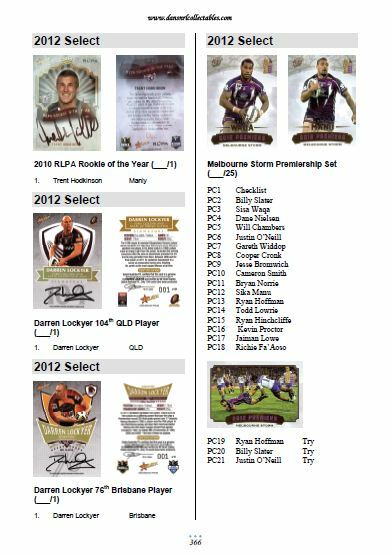 From here my collection began to grow and I remember how hard it was to try and work out which set came from which year. 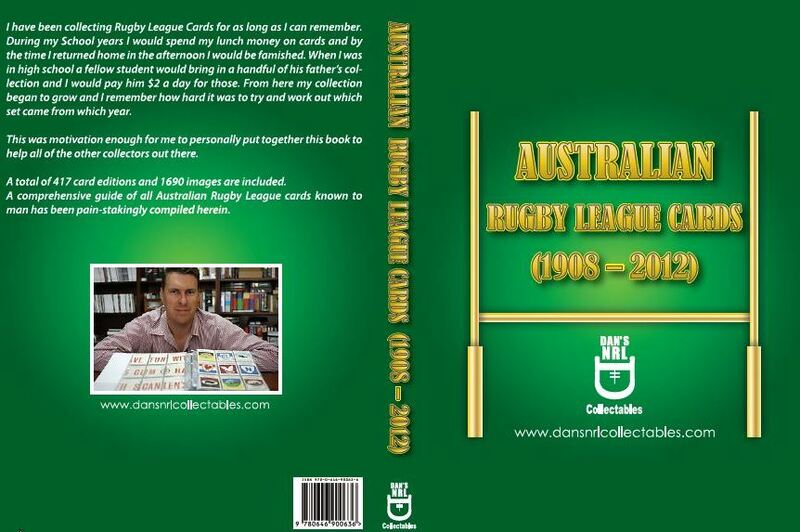 This was motivation enough for me to personally put together this book to help all of the other collectors out there. 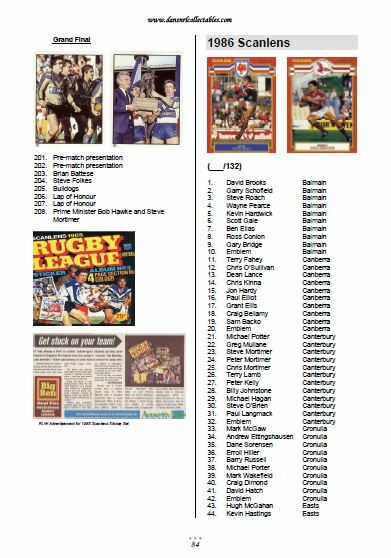 A total of 417 card editions and 1690 images are included in this massive A4 368 page book. 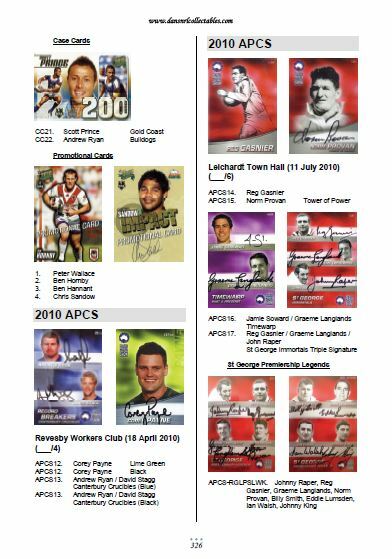 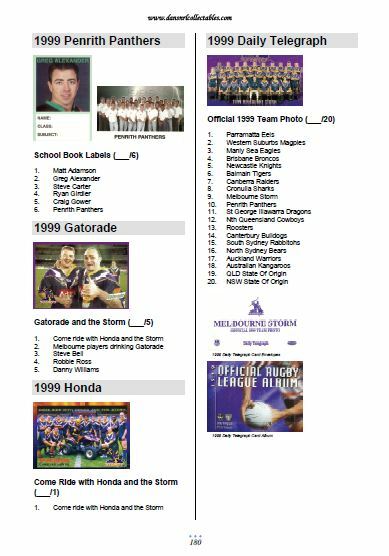 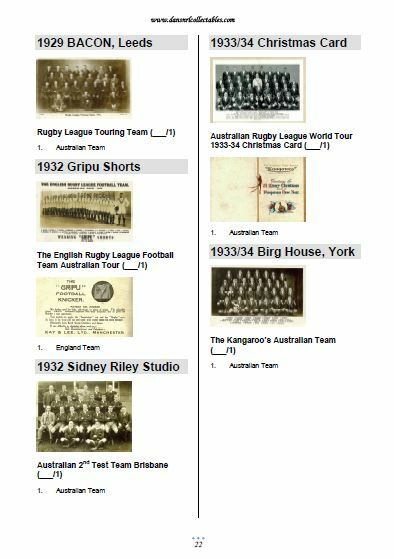 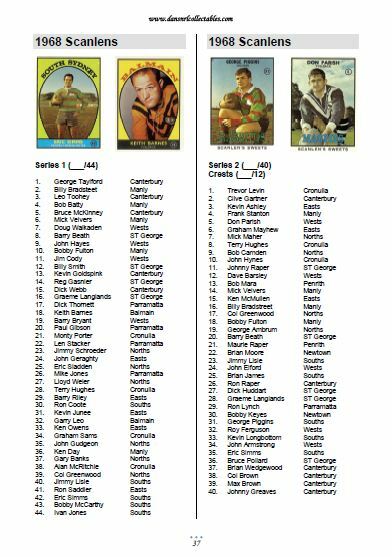 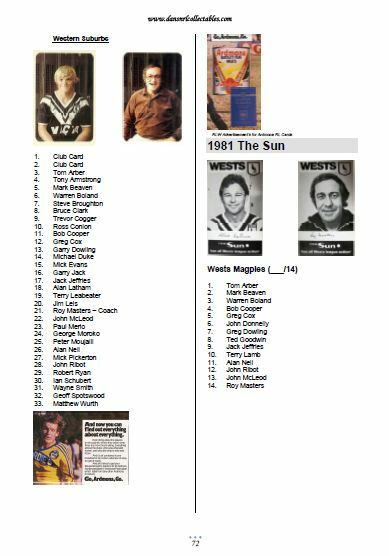 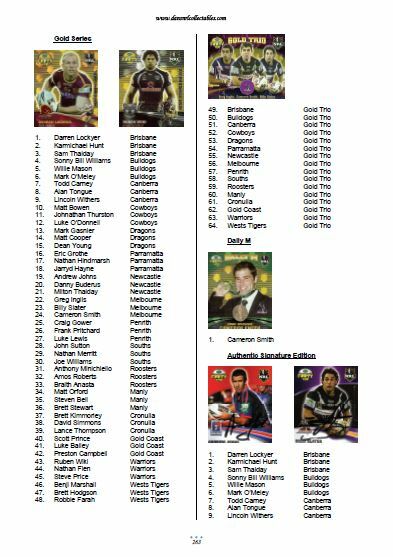 A comprehensive guide of all Australian Rugby League cards known to man has been painstakingly compiled herein.